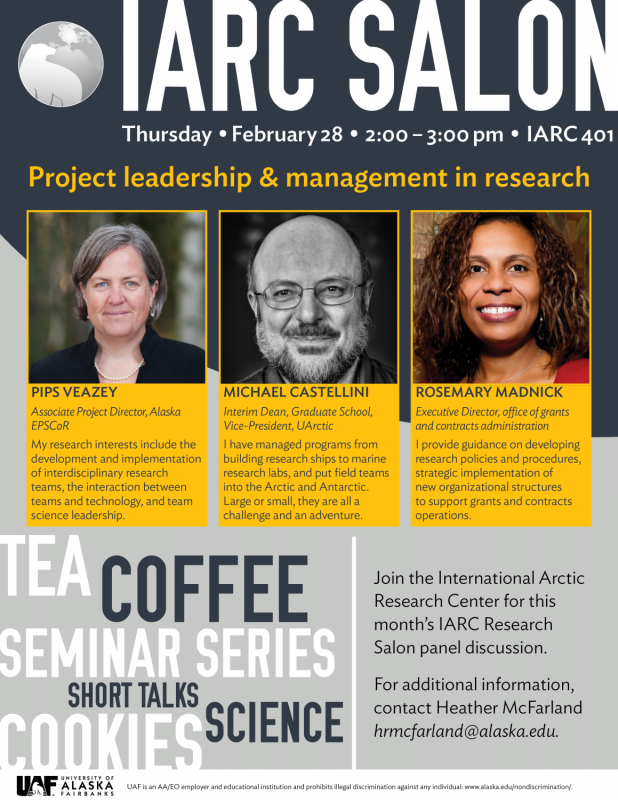 Please join the International Arctic Research Center for our first IARC Salon this semester – Project leadership & management in research. Come hear perspectives and insights from Pips Veazey, Alaska EPSCoR; Michael Castellini, UAF Graduate School and UArctic; and Rosemary Madnick, Office of Grants and Contracts Administration. Light refreshments will be served. « Science for Alaska Lecture: Will defrosting the “icebox” lead to more summer wildfires in Alaska?